You are here: Home » Entrepreneurship Update: How can we support each other better? Entrepreneurship Update: How can we support each other better? 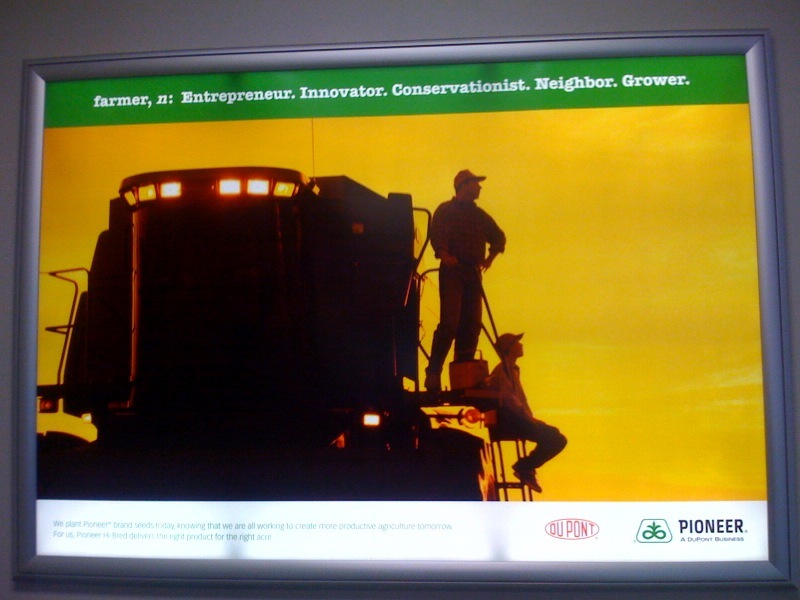 I was dashing through the Des Moines airport not too long ago when the striking advertising poster (below) from Pioneer Hi-Bred caught my attention. Not only because we worked with them on a $7 million capital investment campaign into our two Tama County, Iowa plants (Dysart and Toledo), but also because this ad celebrated our rural entrepreneurs on whom they depend, as do the rest of the world. In the second part of putting together our business plan, we will be brainstorming ideas for deliverables (beyond what we already have) and adding new methods for getting the products/services out. Wed. Sept 22, 6:30 p.m. In the third part of our putting together our business plan we will focus on financing. Over the past few months we have seen a lot of changes and we will discuss not only the resources available to for profit businesses, but also financing the Tama County Entrepreneurship Trust’s product and service deliverables. Wed. Oct 13, 6:30 p.m.
← Featured Autumn Activities: Ready to hug a baby buffalo?